We are doing LOTS of Advent activities this year–probably too many since we are behind on several of them–but I think the most important part is that we are doing SOMETHING to learn about Christmas and we’re having fun! I thought I’d share some of them with you, as well as document them for myself for the coming years. Some are quite simple and some are more involved. We’re keeping up with the simple ones really well, and adding in the more involved ones, like making ornaments, when the kids want to. 1. Put a sticker on Jesus’ birthday cake daily from Dec. 1-25. 2. Glue a cotton ball onto Santa’s beard daily from Dec. 1-24. 3. Read a scripture passage daily and make a related ornament from Truth in the Tinsel: An Advent Experience for Little Hands. This year there’s also an option to buy printable ornaments. 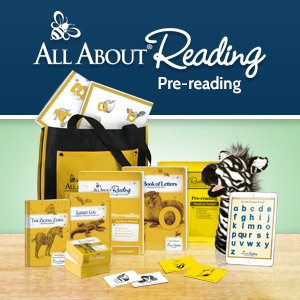 The Advent study is available in Spanish here and there is also a curriculum designed for use at church here! 5. Read a passage and make the related ornament from the book The Advent Jesse Tree: Devotions for Children and Adults to Prepare for the Coming of the Christ Child at Christmas. 6. Read a story from the Advent Storybook: 24 Stories to Share Before Christmas. 7. 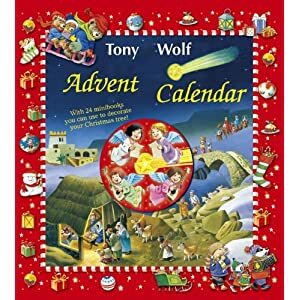 Read a mini-book from the Tony Wolf Advent Calendar and hang it on a miniature Christmas tree when done. 8. Read the day’s page and do any related activities from The ADVENTure of Christmas: Helping Children Find Jesus in our Holiday Tradition. 9. Open a small gift in a numbered bag. I simply wrote the numbers 1-24 on white paper bags (think brown bag lunch type bag) and filled them with various things (ours are similar to the onesthat I found here, but ours are just sitting out and not hanging on anything). Some days there is a gift for both Luke and Lilah in the bag and sometimes it’s a shared gift. For example, one day they each got a wooden Santa with markers for coloring (retail $1/each from A.C. Moore, plus I used a coupon) and then it became a Christmas decoration to keep. Another day I gave them a single board book, plus two mini candy canes. They ate their candy canes while I read the book to them. Another gift was a Cars Christmas stamp set and a Christmas Princess stamp set (both $1/each from A. C. Moore). Other inclusions: mini Christmas board books, healthy snacks, candy canes, $1 crafty items from A. C. Moore, $1 Christmas sticker packs, a Christmas movie DVD, etc. 10. Move a nativity piece from the pocket to the scene above on the Nativity Advent Calendar. I purchased this from Amazon for ~$26. L&L also have their own advent calendars in their rooms. We found them in the Target dollar spot for $2.50 each. Luke picked out a Christmas tree with 25 numbered, and brightly colored ornaments. You move a wooden candy cane into a new pocket each day. Lilah picked a Santa Claus; you move a wooden candy cane on that one as well. If you haven’t started any Advent activities this year, it’s never too late! Just jump in and get started. You can do extra each day to catch up, pick and choose the most relevant parts to do, or just start from today and move on. What are your favorite Advent activities? Disclosure: Some links included are affiliate links. This is such a great post! Thank you for sharing your advent traditions. I especially love the birthday cake for Jesus. We bake one every year on Christmas, so that would be fun to add in counting down! I am posting a round up on my blog of the top ten advent activity posts and will be linking back to this post. I would love to use one of your photos in that post if you wouldn’t mind. Thank you again for sharing!